The ideal way to do this is to pull on one of the threads and actually pull it all the way out. Then cut along that line. 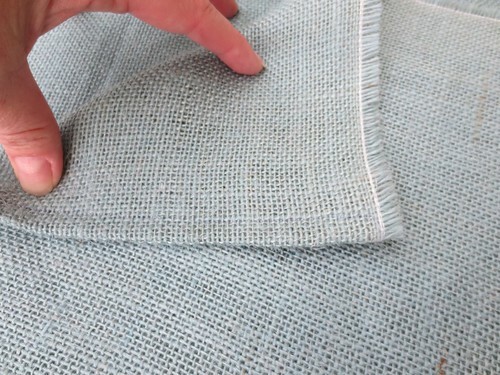 Take care to make sure that the burlap piece lays flat and that the treads run at a 90 degree angle. Now you will iron a hem into it. 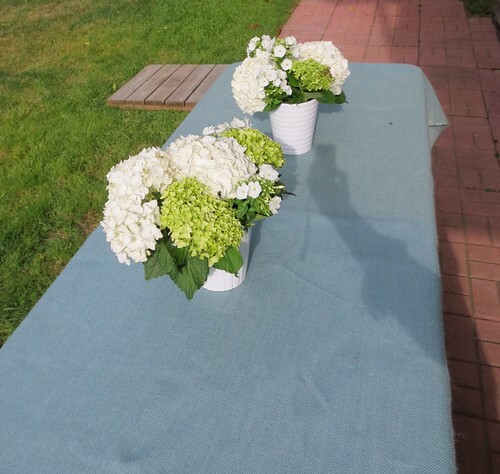 I used a low setting, physically creasing the burlap with the weight of the iron. Fold as small a piece as you can over. That will be about 1/2 inch. Iron that all the way across. Then, fold it again over that fold and repeat the ironing. (If you wanted this to be no-sew, you could just iron in a strip of hem tape in the second fold and you would be done here.) Iron a hem on both of the short sides. Then sew both hems. 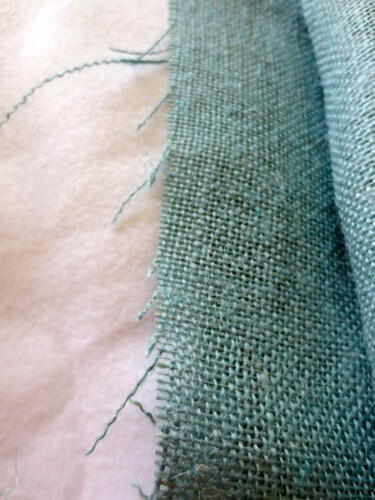 This is the hem on the outside and the side selvedge showing. 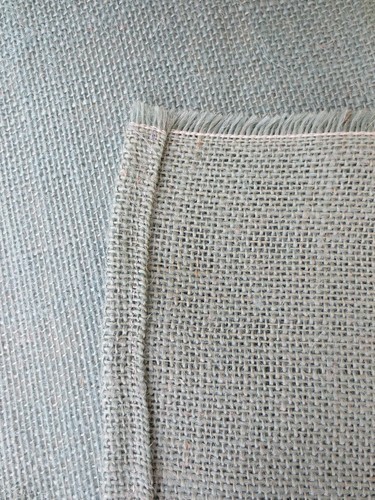 When burlap is new off the bolt, it is quite stiff. It is very flat, aside from the center fold, and my advice is to keep it flat and dry for a lovely crisp presentation. The burlap sheds. So don’t get dressed for dinner and THEN sit down to make this before the guests come. You will be covered in a wiry fur. 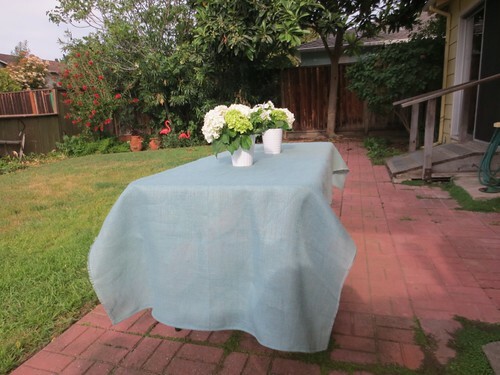 In theory burlap is washable, but this will make it very wrinkly and you will need to iron it. It is a bit of a chore to iron, and takes some real effort. But, if there is say a red wine mishap right away, then you always have the option to wash it. 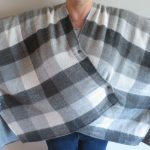 5 years ago by Susi in Iron Craft , Projects , Sewing Projects | You can follow any responses to this entry through the RSS feed. You can leave a response, or trackback from your own site.